With two library projects looming, Lisa Tyson, Library Projects and Development Manager at Western Sydney University, met with Paul White, our Director of Design, to discuss her specific counter requirements for the new libraries at the University’s Penrith (Kingswood) and Hawkesbury Campuses. 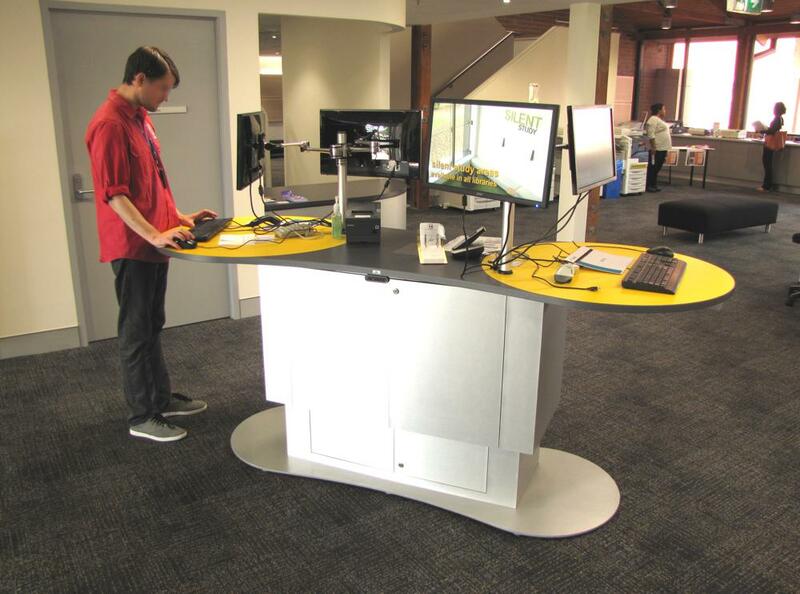 The aim was to gain optimum functionality in the form of a dual staff station, however the University was keen to minimise the health risks associated with working at a fixed height for long periods. 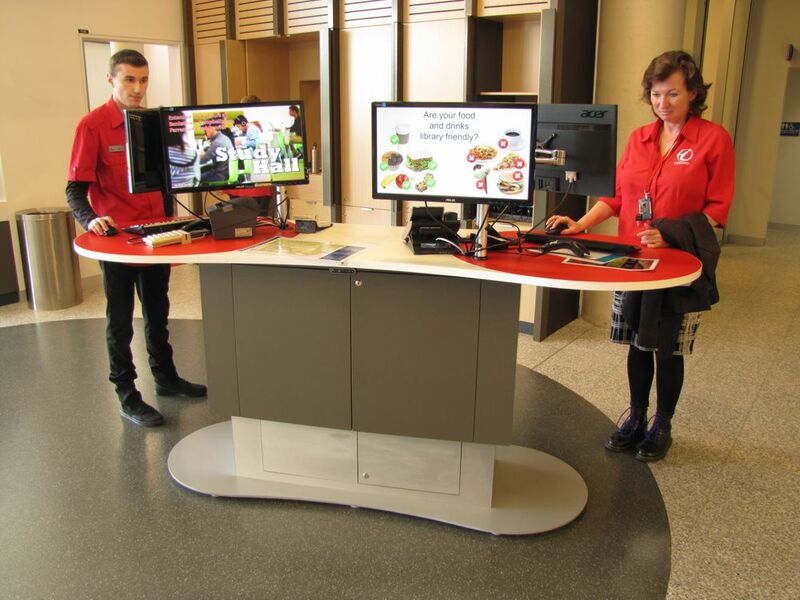 To solve this issue, the worktop needed to be height adjustable, allowing staff to adjust the height to suit their specific needs and to work comfortably in either a seated or standing position. The University’s requirements led to the development of Instinct Furniture’s YAKETY YAK 2400 Island. 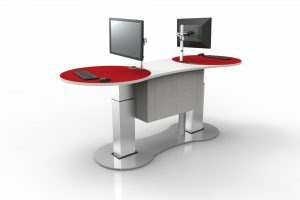 Featuring a flowing design, it is shaped to provide two specific areas for staff to work alongside each other, while still allowing enough length and space for them to operate individually. 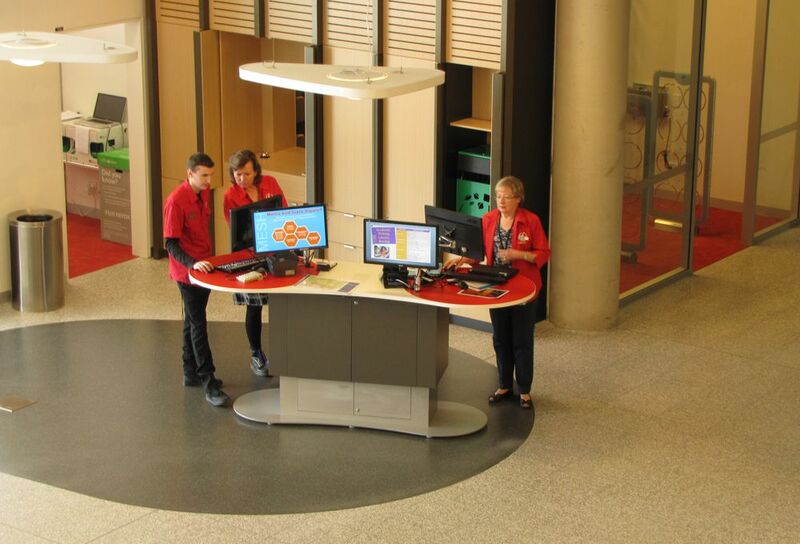 Height adjustability gives staff the choice to stand during the busy periods and work seated when it is quieter. Two flat screens were installed at each end of YAKETY YAK for ease of sharing information with students. 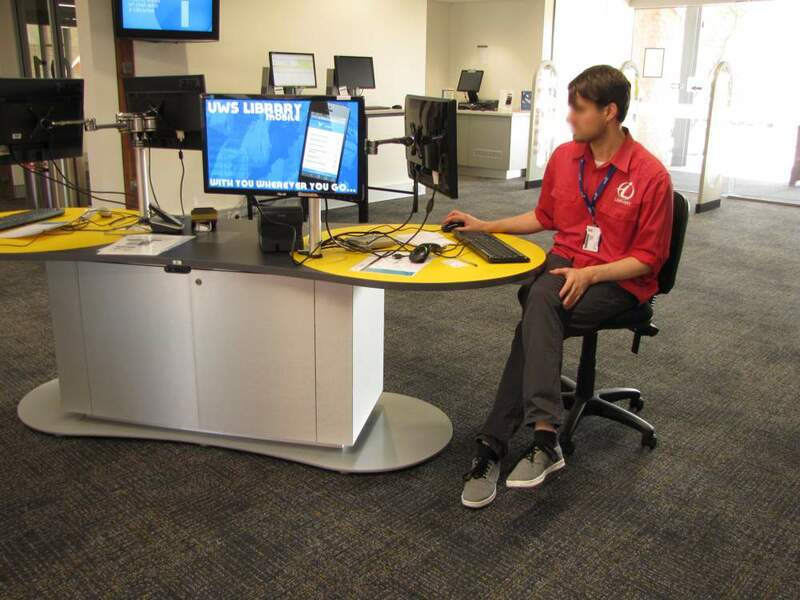 The new YAKETY YAK Islands stand at the entrance of the University’s two prominent libraries and encourage a direct and easy interface with students. 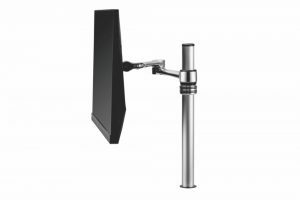 “It was a pleasure to work with Paul from Instinct Furniture in the development of this service point. 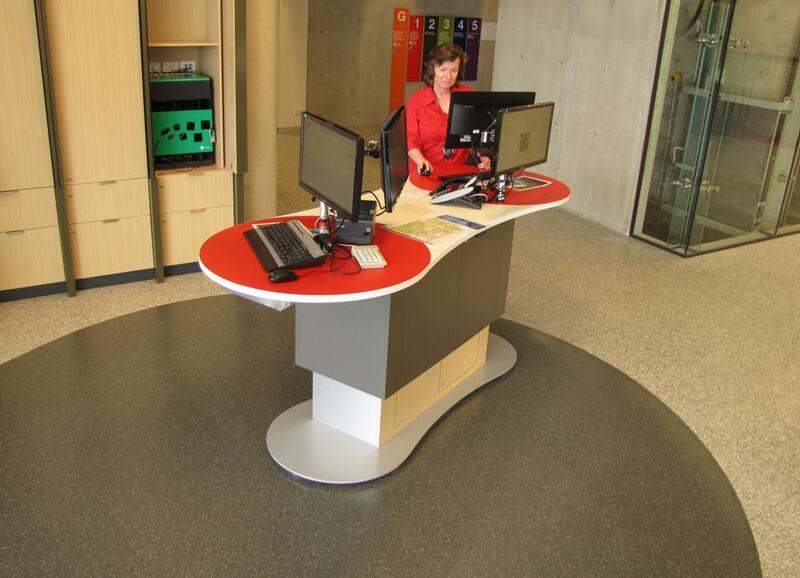 He understood our unique needs and broader service aims and was able to combine that with an existing understanding of library service point operations and needs, to deliver a practical, functional and sleek result”, says Lisa.